Serving a cocktail before dinner is a courtesy to guests but it also serves a purpose. Known as an aperitif, the before dinner drink prepares the stomach for food and the palate for the delicious tastes it is about to enjoy. They can be served to guests at an elegant dinner party or enjoyed any night of the week at home. Aperitifs come in many flavors and can complement a variety of cuisines. Many of the best aperitifs include gin, vermouth, or dry wine. There are also bitters such as Campari and Aperol that have long been used as appetite stimulants on their own. They can be used to make some very interesting cocktails as well. There are many possibilities when it comes to choosing an aperitif cocktail. Some are old favorites while others are obscure and fascinating cocktails that can challenge and enlighten your taste buds. There's sure to be a recipe that will match your dinner menu perfectly. 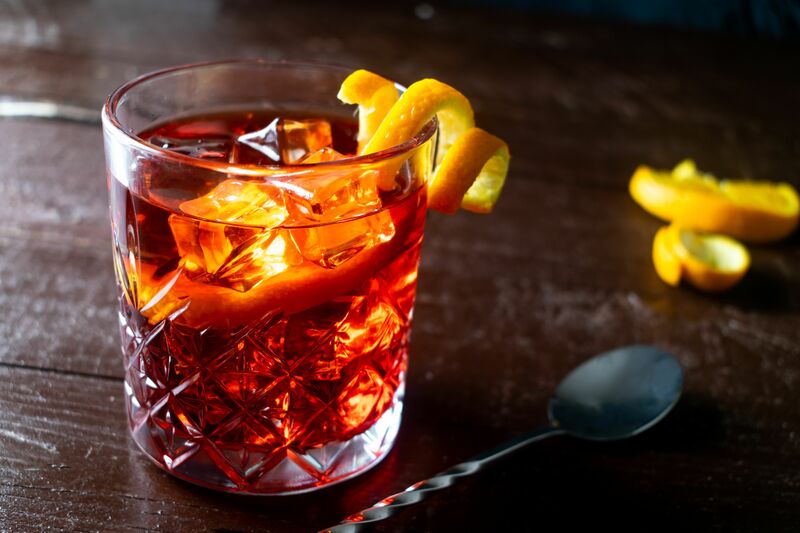 The Negroni is an iconic aperitif. Campari itself is designed to be an aperitif and in this recipe, it is paired with gin and sweet vermouth to create the ultimate before dinner drink. This drink can prep your palate for any meal and is really nice when a Cornish game hen is the star of the table. You will find that the gin and vermouth add a mellow aspect to Campari's bitterness. That helps make the drink a bit more agreeable for palates that are new to the flavor. Another must-have aperitif is the Aperol Spritz. It is a simple drink that also features a bitter liquor designed specifically for this purpose. Aperol's bitter orange flavor is definitely more approachable than Campari and that makes it a good, gentle introduction to a genuine aperitif. This cocktail is ideal for flavorful dishes like roasted leg of lamb. The simplicity of the sparkling orange accents all of those herbs and spices without interfering with the dish. The Fabiola is an interesting cocktail. It's a refreshing take on the Metropolitan, though the recipe pairs dry vermouth with Grand Marnier. The orange is a fascinating contrast to the dryness of the fortified wine and sweetness of a decent brandy. It is a fabulous companion to any meal. Your guests will enjoy the play of citrus between the Fabiola and recipes like this lemon chicken with mushrooms. Since both are quick to fix up, this is a great combination for last-minute dinner parties. Another very simple aperitif, the gimlet will go along with almost any meal, no matter how fancy or casual dinner is. The best part is that it's a two-ingredient recipe. Simply pick up your favorite bottle of gin and mix it with a lime cordial. The gimlet is perfect for summer dinner parties because it is a very light, refreshing cocktail. Serve a round to your guests as they sit on the patio and you finish up the spareribs on the barbecue. There are Campari cocktails and then there is the Campari cocktail. This is the most Campari-forward drink you can mix because the only other ingredients are vodka and a dash of Angostura Bitters. This is a very bold bitter cocktail and it's not for everyone. Yet, few drinks can kick off a meal in style like the Campari cocktail and you can train your palate to savor the taste. It's especially interesting when served before a classic eggplant parmesan. The autumn leaves recipe has a compound of intriguing flavors. It begins with pisco and Drambuie, then brings in a hint of Campari and lime. It's fascinating on its own and even better as a prelude to complex dishes such as a Genoa-style stuffed pork loin. If your guests don't see you mix up this cocktail, they'll wonder what you put into it because it is so unique. It is certainly an adventure in flavor and a fun one at that! Tarragon makes an appearance in this modern enhanced Manhattan. It's one that can easily be served during as well as before dinner. The bourbon and blood features a smooth whiskey with sweet vermouth and a blood orange liqueur. The drink's darker profile makes a great pairing for a lighter pasta dish such as butternut squash ravioli. The contrast between the drink and the food is engaging and sure to be the talk of your dinner party circuit. The dry profile of tonic water is ideal for any meal and it creates simple but effective aperitifs. While the gin and tonic is the best-known recipe to feature this soda, the autumn spiced tonic brings in a seasonal twist. Since it's a tall drink, you can serve it just before dinner and your guests can finish it at the table. The apple, pear, and cinnamon infused vodka is ideal for autumn dinner parties and perfect for a dish like roast turkey with a maple and orange glaze. Dry sherry and brandy are two aperitifs that often go overlooked. They come together in a fun pear cobbler that is a modern take on a truly great classic cocktail. The sherry cobbler is an excellent drink and this recipe takes it up a few notches. Fino sherry and pear brandy are sweetened with cinnamon syrup and it's adorned with drunken pears. It's a fantastic way to start a traditional meal with brown sugar-glazed ham. When no other cocktail seems absolutely perfect for your dinner table, you can always fall back on the classic martini. It is a perfect complement to any meal but is particularly nice with seafood, including the divine lobster Thermidor. Not only is the martini the epitome of an aperitif, it also makes a great choice because the recipe can easily be adapted to individual tastes. You can make every guest happy, whether they prefer their martini dry, perfect, or served as a Gibson.